The latest edition of the State of the World’s Forests (SOFO) report explores the relationship between agriculture and forestry for a food-secure future. World leaders adopted the Sustainable Development Goals (SDGs) for the next 15 years in September 2015 to take forward the global development initiative from the Millennium Development Goals. As part of their commitment to the SDGs, countries are committed to end hunger by 2030 by ensuring sustainable food production. Making agriculture sustainable is essential for future food production in the face of climate change. "The 2030 Agenda for Sustainable Development, as well as the Paris Agreement on climate change, recognises that we can no longer look at food security and the management of natural resources separately," said FAO Director-General José Graziano da Silva. While agriculture can feed the world’s population, it is responsible for deforestation globally. The SOFO report shows how food security can be ensured by maintaining forest cover. The report says that forests support sustainable agriculture by stabilising soils and climate, regulating water flow, providing shade and shelter and providing a habitat for pollinators and natural predators of agricultural pests. When integrated judiciously into agricultural landscapes, trees can increase agricultural productivity. “Increasing crop productivity, if paired with direct forest protection measures, can increase both agricultural production and forest cover. But without direct forest protection, increasing crop productivity can put forests at greater risk by making it more profitable to clear land for crops,” Busch added. Forests ensure the food security of millions of people worldwide, as they are important sources of food, energy and income. The SOFO report shows that some countries have successfully increased agricultural productivity while also halting and reversing deforestation. Deforestation was most prevalent in the temperate climatic domain until the late nineteenth century and is now greatest in the tropical climatic domain, the report says. Temperate countries have been decimating their forests for centuries, but these days most of their primary forests are protected. 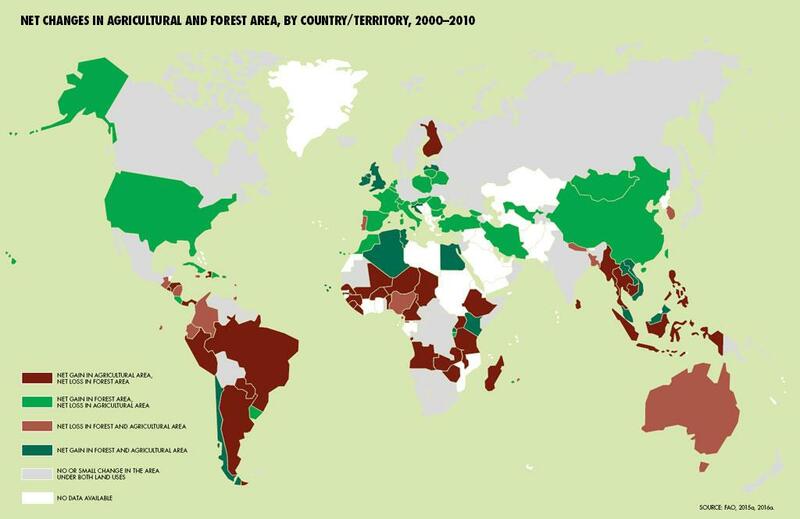 The tropics, on the other hand, are losing an area of forest the size of Portugal every year. Talking about the relationship between agriculture and deforestation, Busch cited the example of Brazil. Since 2004, the country has reduced deforestation in the Amazon by 80 per cent while increasing soy production by 65 per cent and beef production by 21 per cent. “They did this mainly through restrictive measures—protected areas, enforcement of forest laws, moratoria on clearing—but increased agricultural productivity played a role too. Economist Bernardo Strassburg estimates that with modest continued increases in agricultural productivity, Brazil can continue increasing agricultural production for the next 25 years without cutting more forest,” Busch told Down To Earth. Commercial agriculture accounts for about 40 per cent of deforestation in the tropics and sub-tropics, local subsistence agriculture for 33 per cent, infrastructure for 10 per cent, urban expansion for 10 per cent and mining for 7 per cent, the SOFO report adds. Seventy-one per cent of deforestation in South American countries in 1990–2005 was driven by increased demand for pasture, 14 per cent was driven by increased demand for commercial cropland and less than 2 per cent was the result of infrastructure and urban expansion. In Southeast Asia, oil-palm plantations and production of biofuels have replaced natural forest. As forests are “multifunctional”, they can combat climate change. The report says that reducing emissions from deforestation and forest degradation, sustainable management of forests and enhancement of forest carbon stocks will be essential to fight climate change. “Combating climate change and ensuring food security are both extremely important. When you compare the numbers, deforestation contributes more than 10 per cent of greenhouse gas emissions annually, but it only expands the world’s agricultural land by around one-tenth of a per cent a year. This means that protecting and restoring forests is critical for stopping climate change, but the big gains in improving food security will happen elsewhere,” Busch said. 6.6 By 2020, protect and restore water-related ecosystems, including mountains, forests, wetlands, rivers, aquifers and lakes. 15.b Mobilize significant resources from all sources and at all levels to finance sustainable forest management and provide adequate incentives to developing countries to advance such management, including for conservation and reforestation. Both charts have been taken from the SOFO report. Forests play a vital role in securing rural livelihoods through generating income in the form of goods and environmental services. 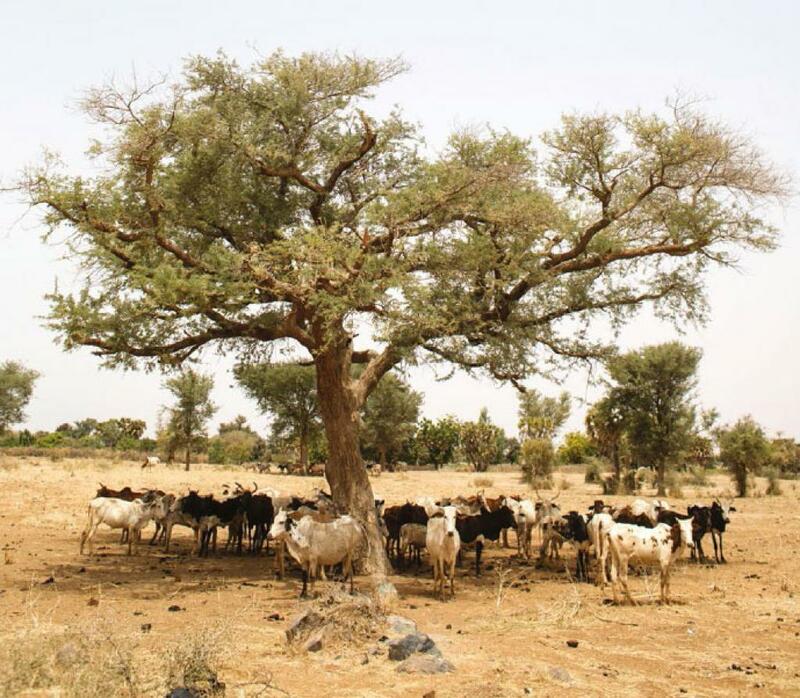 According to the SOFO report, forests can also serve as safety nets during food-scarce periods. “Forests have been cleared to gain agricultural land for millennia…this was part of economic development,” said Eva Muller, director of Food and Agriculture Organization’s forestry department. “The more forest we have, we can get multiple benefits,” A K Ghosh, founder director of Kolkata-based non-profit Centre for Environment & Development, said. 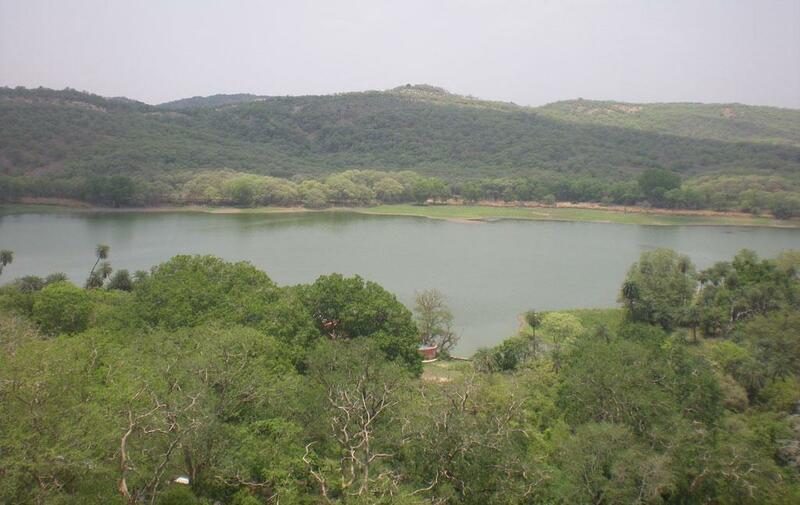 Forests produce timber and non-timber products, conserve soil, recharge groundwater, purify air, provide habitat for biodiversity and benefit local communities, he added. The SOFO report says that since 1990, over 20 countries have succeeded in improving food security while maintaining or increasing forest cover. The report presents case studies from seven countries—Chile, Costa Rica, The Gambia, Georgia, Ghana, Tunisia and Viet Nam—that show how food security was ensured through an increase or maintenance of forest cover. Six of these countries achieved a positive change in the period (1990-2015) in two food-security indicators—the prevalence of undernourishment and the number of undernourished people—as well as increase in the forest area. The Gambia only succeeded in achieving the first goal of halving the proportion of its hungry people. According to Dominique Reeb, team leader, social forestry department of FAO, agriculture and forestry together contribute to most of the SDGs and they should be integrated. "Agriculture and forest go hand in hand," he said. Viet Nam’s success lies in the shift from state forestry to multi-stakeholder forestry involving the active participation of local communities. This includes a forest land allocation programme and forest protection contracts entered into with local households. There is now around 4, 500 private forest companies and village-level forest management boards have been established in more than 10,000 villages. Public investment in forestry has also increased. Viet Nam’s forest cover has increased from 28 per cent in the 1990s to nearly 40 per cent in 2013, despite deforestation and forest degradation. In Costa Rica, deforestation was prevalent the 1980s due to the conversion of forest cover into pastures. The country reversed this trend due to its forest law, which now prohibits changes in land use from natural forest. The system of Payments for Environmental Services, which provides farmers with incentives to plant trees and supports forest conservation, has been a positive trend. Forest cover has increased to nearly 54 per cent in 2015. Net forest loss due to conversion has been halted. Previously, forests were regarded as “land banks” that could be converted as necessary to meet agricultural needs, the report says. In Tunisia, national development plans recognise the beneficial role that forests can play in protecting land against erosion and desertification. In Tunisia, agricultural production has increased through intensification that makes better use of existing agricultural land through irrigation, fertilisation, mechanisation, improved seeds and better farming practices. The report says that we do not need to remove forests to feed the ever-increasing population. Reeb added that countries need to achieve a kind of balance between forestry and agriculture. "We need to be cautious on how to manage forests," the FAO officer said.